Adding an arcade theme to your corporate event is the perfect way to reward your employees for their hard work and to facilitate interaction among employees in a fun and relaxed way. Whether you’re looking for an alternative to dancing, or just want to add another element of fun to your party, an arcade event is a great way to keep your crowd entertained all night long. 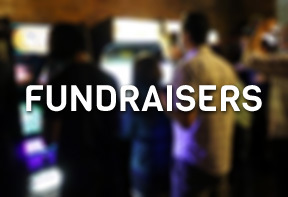 An arcade event fundraiser is the perfect way for a charitable organization to raise revenue while creating a fun and interactive environment for donors to enjoy. Plan yours today! 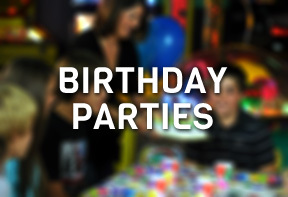 Whether you’re throwing a party for yourself or surprising a loved one, Montgomery Arcade & Gaming Rentals guarantees an event your guests will be talking about year after year. 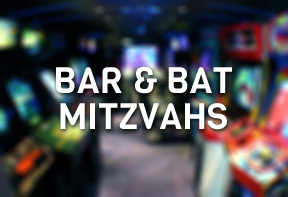 If you’re looking for a unique and memorable way to celebrate your loved one’s Bar or Bat Mitzvah, an arcade event with Montgomery Arcade & Gaming Rentals is the perfect solution. No matter the occasion, Montgomery Arcade & Gaming Rentals parties are the perfect way to add some fun to your next event. 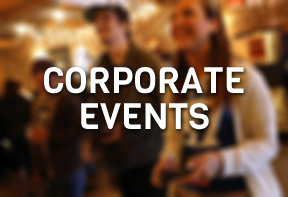 From house parties for 10 to corporate events for 2,500.